It’s April. Time for the Easter Bunny to come and for all our spring flowers to burst into the wonderful colors of spring. Hopefully by now you can see them under all the snow that accumulated over the winter. I think we all felt a little cooped up this winter. Let’s shake off the lingering effects of winter by visiting a couple of different Granges each month. You can make a difference. If you have a good number that is worth sharing, bring it along and ask the Lecturer is she needs another number for her program. Plan ahead. Be positive. Lecturers have an important role in making our Grange a success. Has your Grange chosen a Community Citizen yet? Pick one, plan a good program and invite the community in to celebrate with him or her. What better way is there to get people to see what the Grange does? April is Grange Month. A lot of Community Citizen Awards are given out in April. 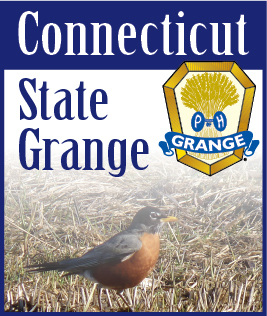 Why not get a proclamation from your local Mayor or Selectman recognizing the Grange for all it has done to help the community? Brag about yourselves. Invite a reporter in or send information to the papers. Most importantly, when you have done all this, be sure and have a quality Lecturer’s Program. You can do it, but if you need help, please don’t hesitate to call on me. My job is to help you in any way possible.